Gorgeous women including Dancing with the Stars’ Maria Menounos and Smash star Debra Messing posed for Allure. Oh yea, they were completely naked. Allure’s Annual Naked Truth photo shoot for the May 2012 issue features some pretty amazing bodies. I’m sure airbrushing was involved, but it’s hard to deny how great these women look. There are so many box-subscriptions out there today, how do you know what one to try? I had mentioned that I was extremely disappointed with BirchBox, and put my sample days behind me. I was then contacted by someone who told me about Sample Society, from BeautyBar.com and Allure and I am now re-thinking this whole thing. -“Original content written by Allure editors with each month’s samples, giving the customer relevant expert information that can optimize her experience and ultimately help her make purchase decisions. 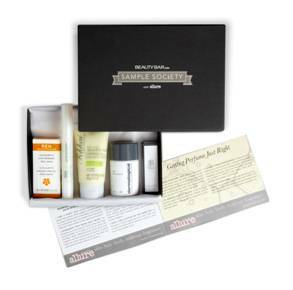 -Members also receive a one-year subscription to Allure as an added bonus. As with most sample subscriptions, there is a waiting list as membership is limited. Fekkai Advanced Glossing Cream (1.6 oz), Dermalogica Daily Microfoliant (.45 oz), REN Glycolactic Skin Renewal Peel Mask (15 ml), Skyn Iceland Icelandic Relief Eye Pen(.14 oz) and Oscar de la Renta Espirit D’Oscar Eau de Parfum Rollerball (.1 fl oz). So, will you try Sample Society? 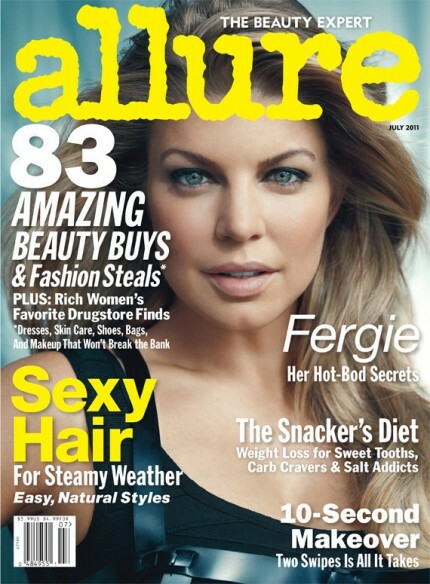 Fergie is on this month’s cover of Allure magazine and is following a trend I’ve noticed is really taking off this season. No pants. 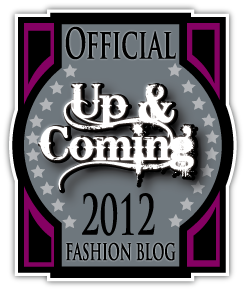 Although I truly believe someone in my family (who shall remain nameless) is responsible for this trend.